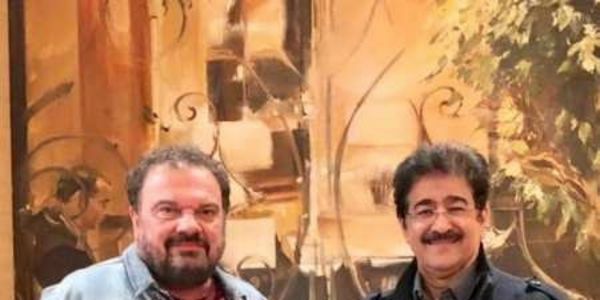 Budapest: Renowned Holywood Producer Director Jeno Hodi called upon Dr. Sandeep Marwah during his stay in Budapest to discuss and promote relation between two film institutions AAFT University of Media And Arts and Budapest Academy. “Meeting Dr. Marwah is always a pleasing exercise. He is always full of new ideas and zest. I would like to visit India may be in the end of this year to be part of Global Film Festival,” said Jeno Hodi. Jeno Hodi is the owner and managing director at Budapest Film Academy. He is also the Chairman at Cinepartners Entertainment. He studied film directing and screenwriting at Columbia University, School of the Arts.